Hello everyone! We’ve had such gorgeous hot weather over in Chicago. It’s marvelous. It’s my favorite type of weather, I love warmth and I was outside a lot. I can only handle it a little at a time though but it was marvelous to be able to go outside to the park and read while soaking up some sun rays. Such a wonderful feeling. 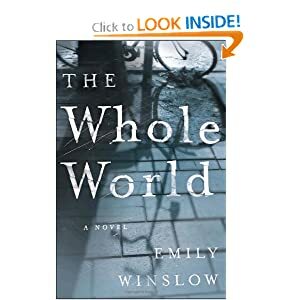 I found a pretty interesting book that I’ve been reading recently, “The Whole World” by Emily Winslow. I’ve been sucked in and I can’t stop reading. It’s very interesting, it’s about two American female college students over in Cambridge and a boy. The three get really close, two of them get into a situation that got pretty intimate, however the girl freaked out and got sick right in front of the guy and ran away from him in embarrassment. Then the guy goes missing and no one knows where he is and what happened. There is a lot of complexity and twists and turns, but not too many to make the read exhausting. It’s a great happy medium of suspense and curiosity. I recommend it. I’m only halfway done but so far so good. I’m still anxiously awaiting my turn in line for Fifty Shades of Grey at my library. Ahh! Then I also received two packages today, which was marvelous because I freaking LOVE getting packages 🙂 It makes me happy. 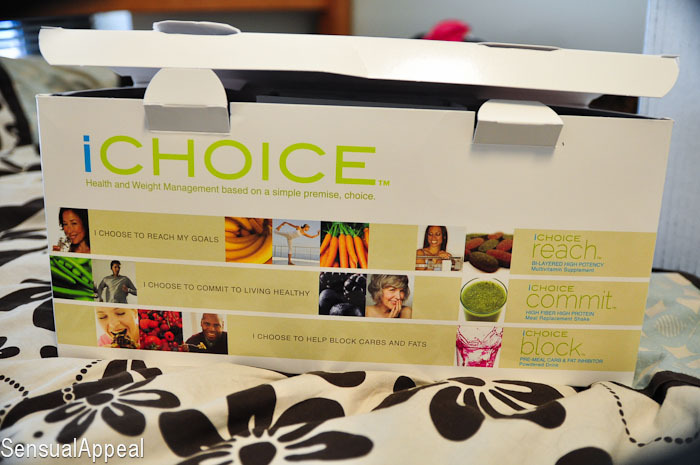 One of the things I got was an all-natural superfood 30 day weight management system called iChoice. I got a good deal on this system on Groupon so I decided to give it a try. I researched the heck out of it and it doesn’t sound harmful. It’s all about getting all the nutrients your body needs. 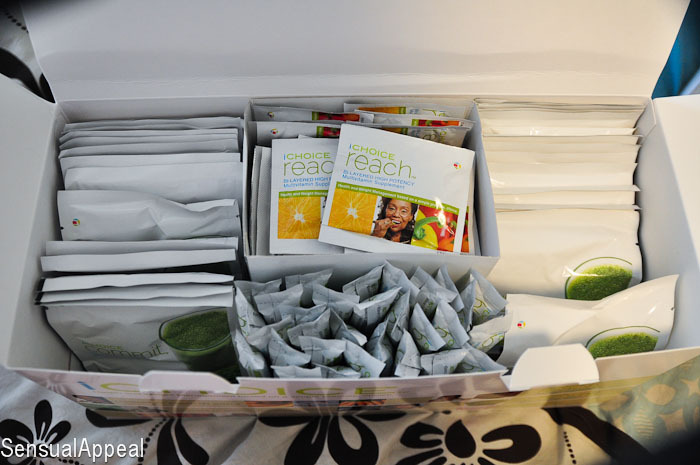 It’s not a weight LOSS program, it’s a weight management program, which sounds better. Plus it’s stimulant-free. I don’t deal well with stimulants (I drink decaf..) so this sounded like a good deal. We’ll see how it goes and how I like it. June is a huge month for summer festivals in Chicago. I went to my first festival of the year yesterday. It was the Old Town Art Fair and it was fun looking at all of the marvelous art as well as watching the Beatles’ cover band play (and they were SO good! They even looked like The Beatles!) After the fair, my roommate and I went to Big Bowl and I was pleasantly surprised to find that the restaurant is all about being organic, all-natural, and sustainable. I had no idea! Plus they had a delicious $6 seasonal sangria! The seasonal fruit of the day were strawberries.. mmmm! Oh and keep the Nimble/QuickieChick giveaway entries coming! The giveaway ends in 3 days!! That’s my biggest worry.. we go out with friends so often and I bake for volunteering. I don’t want to make the investment if I think I can’t stick to it. It’s various shakes and a protein thing then a small supper. No coffee as well…that would be a tough one for me! Wow, never heard of that brand and looks like it could be good! Will have to let us all know what you think of the products! Also, yes! Packages are the best. They have the instant ability to brighten any day of mine. Presents in the mail. Enjoy yours – the system looks interesting! Looking forward to seeing what you think of it! 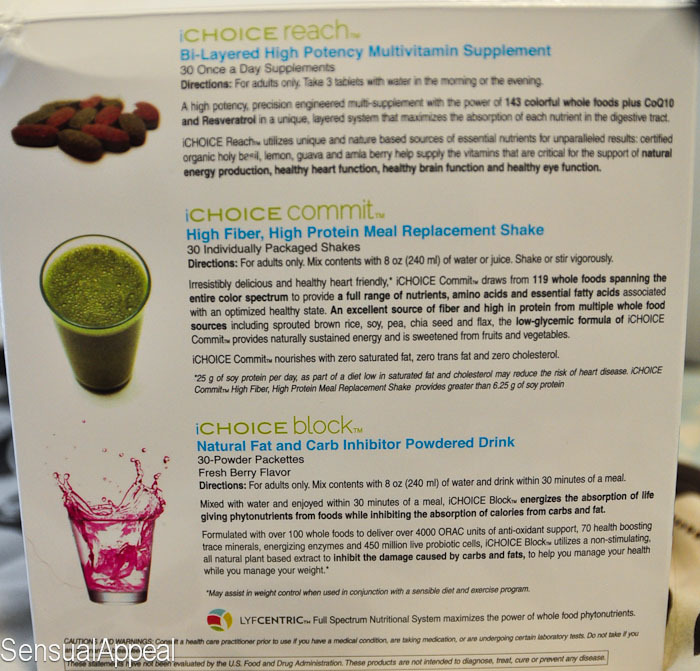 iChoice sounds like an interesting nutrition program; definitely let us know how it goes!! How did the iChoice 30-day program work out for you? I am thinking of purcchasing it through groupon as well. Thanks!